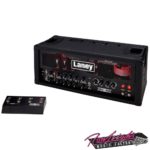 A guitarist without a guitar amplifier on stage paints an incomplete picture, which is why Ron Leigh offers you the best guitar amplifiers for sale. 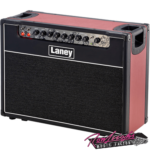 Our brands of guitar amplifiers will let you take over the stage with perfection. Our store features a wide range of amplifiers, whether you are looking for something small to play in your bedroom, with your headphones on or in a studio or on a professional stage amp for your professional gig, we are sure to have what you need. 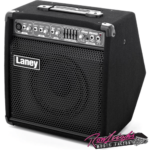 At Ron Leigh’s, you will find guitar amplifiers for sale from top brands like Blackstar Laney and Cort. Guitar amplifiers are an extremely personal choice and our experts are happy to help you with all the advice you need on making the right one based on your music requirements. Just come down to the store and try a few on for size (or sound). Want to modify your favorite amplifier? No worries. Just drop in to our store and we will do it for you. We also offer guitar and amplifier servicing and repairs through a team of qualified technicians, so that you get the best sound quality from your instrument.